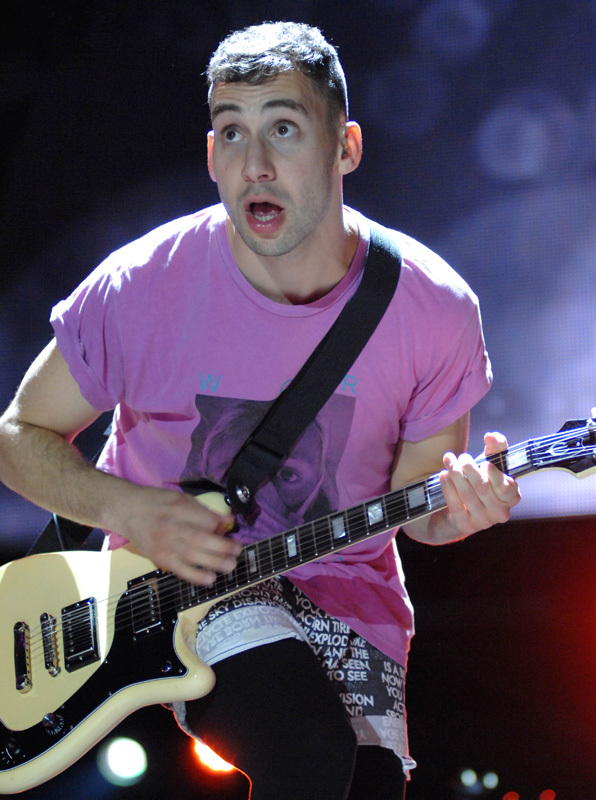 In this photo, Jack Antonoff can be seen playing an Epiphone Wilshire Phant-o-matic guitar in a live performance with Fun at the Bunbury Music Festival in Cincinnati. In the souce video, Jimmy Jackson uses the Epiphone Wilshire Phant-o-matic. Frank has used his custom green Phant-O-Matic live and his custom white Phant-O-Matic live and in music videos for Frnkiero and the Cellabration. It has the body of an epiphone wilshire and the neck and headstock of a les paul. In the video for joyriding he uses a different version of this guitar it appears to be a wilshire but with a tone-o-matic switch and killswitch. This video shows Eoin playing the Epiphone Wilshire Phant-o-matic on Drenge's USA TV debut on 'The Late Show with David Letterman.' There is a clear shot of the guitar at 1:13. Looks stunning and feels great to play. But to twangy for me, not a lot a power behind it. Also goes out of tune faster than any other guitar I've ever played. I use this guitar as my main axe and man, the sound is so unique. It also got killswitch which is always usefull.